Are you one of the 12 million people that could do with being brought into the 21st Century? Mark King Technical Support can help you improve your skills and show you how to be more efficient by utilising modern technology. Would you like to be able to use a smart phone to take photos or make videos? Would you like to save money when you are doing the shopping? Give Mark King Technical Support a call now & we will help you, gently, become a functioning member of the 21st Century! Do you have difficulties understanding modern IT? Would you like someone to help you learn about computers? Are you looking to upgrade your old desktop system to something more current? If you have answered "Yes" to any of these questions then you should contact us and we will help you ease into the 21st Century in a friendly, helpful manner. If you are thinking of starting a business and would like a hand with getting the IT done to an extremely high standard then please give us a call. We will help get everything sorted including purchasing & configuring a domain for your business, purchasing IT hardware such as tablets, laptops & more, and many more areas. You will find that we take the hassle out of sorting out your business' IT. Migrating to a new platform? Need help planning your IT budget? Not enough resources to develop new software? You've come to the right place! Find out about the full range of our services and see how we can make technology work for you. Whether it is a custom built PC or a full system, it can be built for your specific needs and can be supported for as long as you require the system. No two businesses or homes are the same. We believe that the technology supporting your business operations or that individuals use should reflect their specific needs. That's why we offer unique IT solutions. Find out more about us and how our individual solutions can work for you. 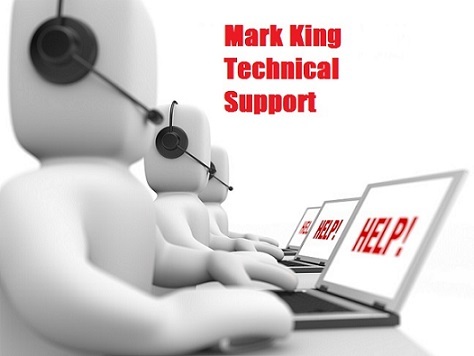 Mark King Technical Support is a full-service IT Technical Support consultancy based in Basingstoke, Hampshire. We will apply unique technology solutions to enhance your small or medium-sized business. We can also help residential customers with their individual issues whether it is a problematic hard disk or an issue with your broadband provider we will treat all our customers with respect & dignity. Would you like to improve your productivity and therefore increase your sales? If you have answered "YES!" then please contact us and we will design a system that can allow you to maximise your potential even when there are down times! Any systems that we design can incorporate as many layers of redunancy as are required. Would you like to have a more professional IT / internet image? We can help you have a consistant image whereby you are fully utilising your business domain to its fullest potential. Having only one domain for your business and email helps create a professional image and is easier to remember than any other email system. We can help streamline your website's HTML code to help it downloads to the browser a lot quicker especially for slow broadband connections or rural dial-up connections. We could develop a Joomla-based site which would be compatible with smartphones. These options can help attract extra visitors to your site which in turn can be turned into customers. We believe in treating all customers like they are family with respect and understanding. We will speak to you in a way that you can understand no matter what your level of technical knowledge. If you would like to improve your understanding of any particular area of IT then please drop us a line & we can set up a course that is personalised to your unique requirements. We have different strands to the business depending on the type of customer you are. If you are a personal client then we can help with any broadband issuses that you might have among other services. If you are a sole trader or partnership then we can help with website development and backups among other services. If you are a SME then we can help with email, document sharing & IT strategy. If you are a large business then we can discuss what support is available.